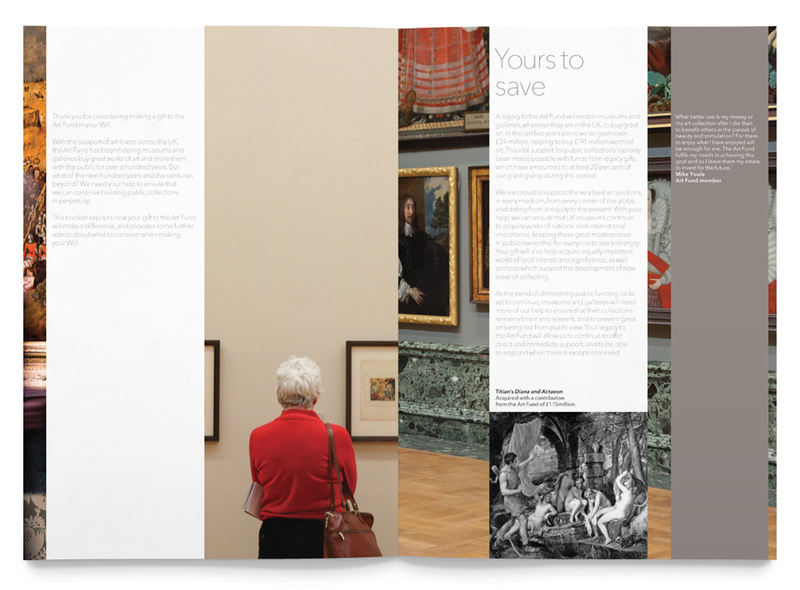 Our creative concept ‘save, show, share’ empowers and encourages members and friends of the Art Fund to give great art to future generations by leaving a legacy. 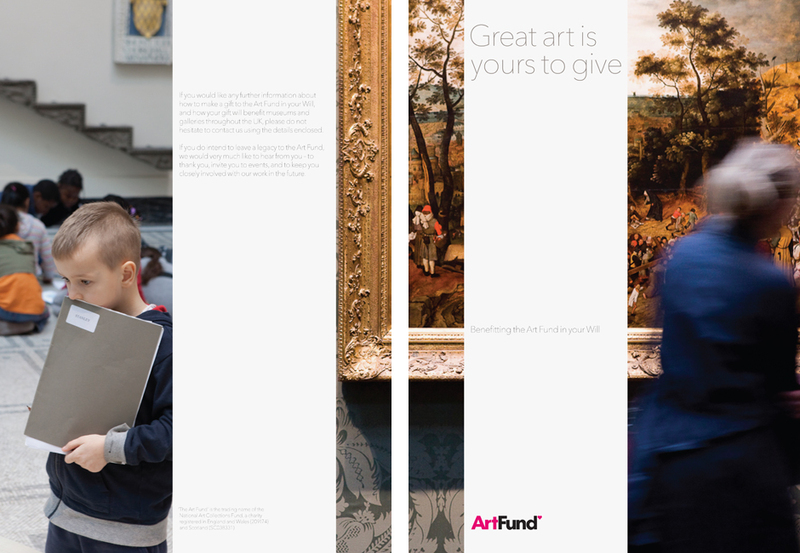 Our aim was to reason and make clear that leaving a legacy (financial means) is really about giving and securing art (philanthropic ends) in perpetuity. 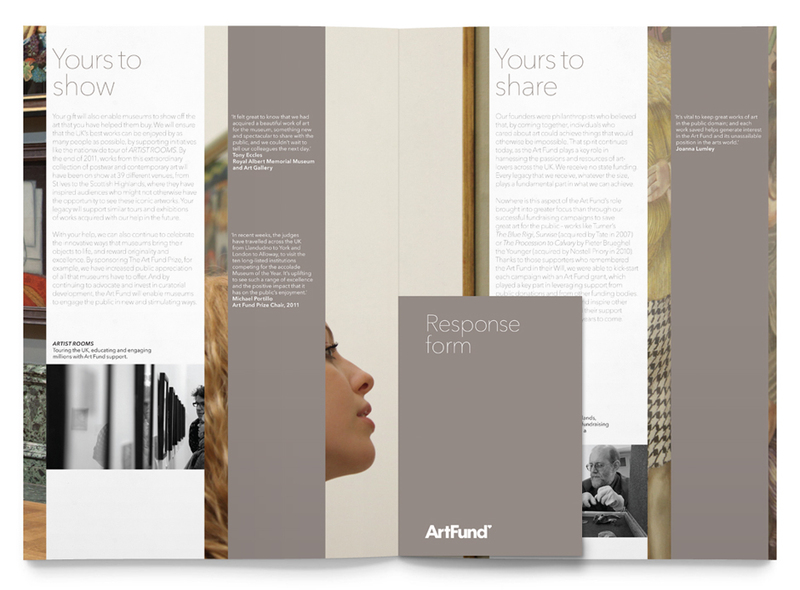 The materials to communicate the message comprises a mailing that outlined the case, giving concrete examples of saving, showing and sharing, with a follow-up brochure that includes a pledge response mechanism.